Imagine a private retreat tucked away in between the mountains and a lakeside oasis. Then imagine a team of people, all waiting to treat you to a getaway you’ll never forget whether that means exploring nearby Udaipur, or sipping cocktails next to the pool all day. 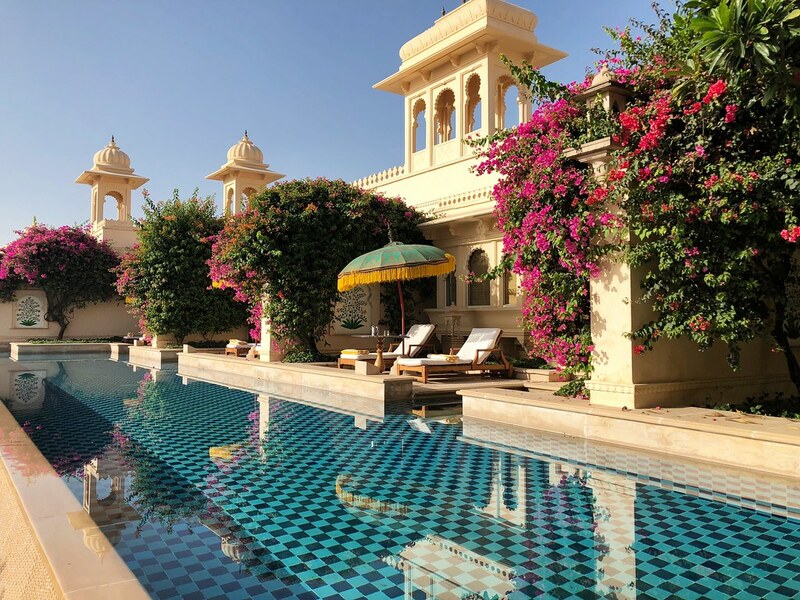 No need to imagine, the amazing Oberoi Udaivilas is tucked away in the mesmerizing city of Udaipur and which also happened to be one of the highlights of my luxury trip to India with tour provider Abercrombie & Kent. Instead of just writing how relaxing the rooms are or delicious the food is, I want to instead share my favorite experiences from this world-class resort. With just 87 rooms and suites on a property that is more than 50-acres, it’s hard not to feel like you have the entire resort to yourself, because you sort of do. Instead of pack every last inch with rooms, the fine folks with Oberoi instead have created this Zen getaway that encapsulate everything about which Udaipur is so very famous. It’s also the most relaxed I’ve felt at a hotel in a very long time. 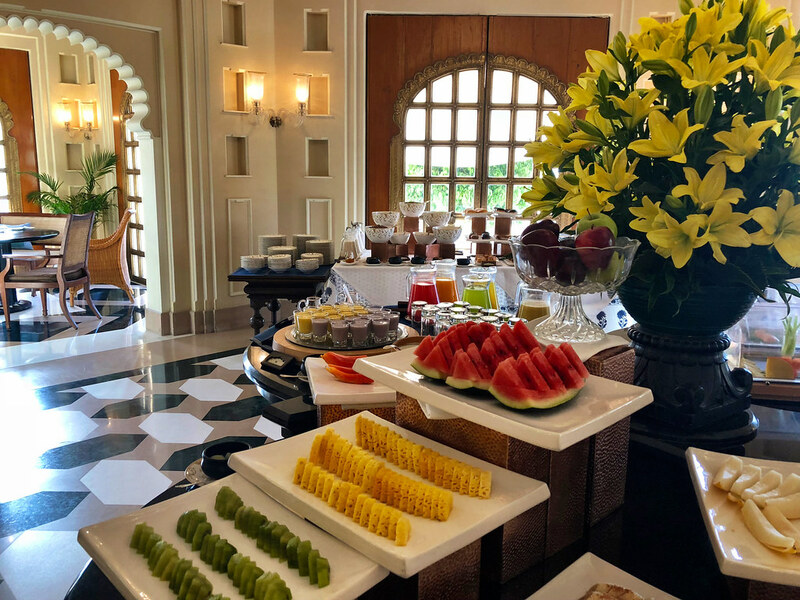 Entering the compound, I felt like royalty not only thanks to the incredibly lavish but elegant design, but also due to the outstanding service that I now know is a hallmark of any Oberoi experience. Luxury is taken to new levels in India, and that’s certainly the case here at the Udaivilas where every request and need was seen to quickly and without issue. While most of the other destinations on my tour of India were known to me, Udaipur was different. I knew almost nothing about the city, visiting on faith more than anything else. Almost immediately though I understood why it was included on my tour, it truly is a destination everyone should try to visit at least once in their lives. At the heart of any travel experience in Udaipur are those stunning palaces built for princes and their courts. One of the most impressive sights is the City Palace that towers over Lake Pichola. Still occupied by the regional royal family, the older sections of the palace are open to the public so everyone can enjoy the rich opulence of the Maharanas over the years. With incredible lake views it’s easy to see why they chose this as their home, and I quickly fell in love with the entire palace complex. Thankfully, the Udaivilas was built upon this theme of palatial living. Although the amazing pools at the Oberoi are reason enough to stay on property, its close proximity to the lake enable not just great views, but remarkable experiences as well. A special excursion organized for Abercrombie & Kent guests is a sunset cruise on the lake, but in true Maharaja style. Although it was just me, the small boat was stocked with a high tea service that could feed a small family. As the boat putted out into the heart of the lake, I sat back enjoying the views, sipping on chai and eating one too many cookies. It was a special afternoon though, not just thanks to the small sandwiches, but for the opportunity to experience Udaipur in a different way. I’ve always said that it’s important to see new cities from different vantage points, and from the water is always a personal favorite. Floating around the lake I noticed scenes of daily life I’d never see from land. Locals washing their clothes and even themselves, honeymooners posing for photos and throngs of kids lined up along the shoreline to wave hi. 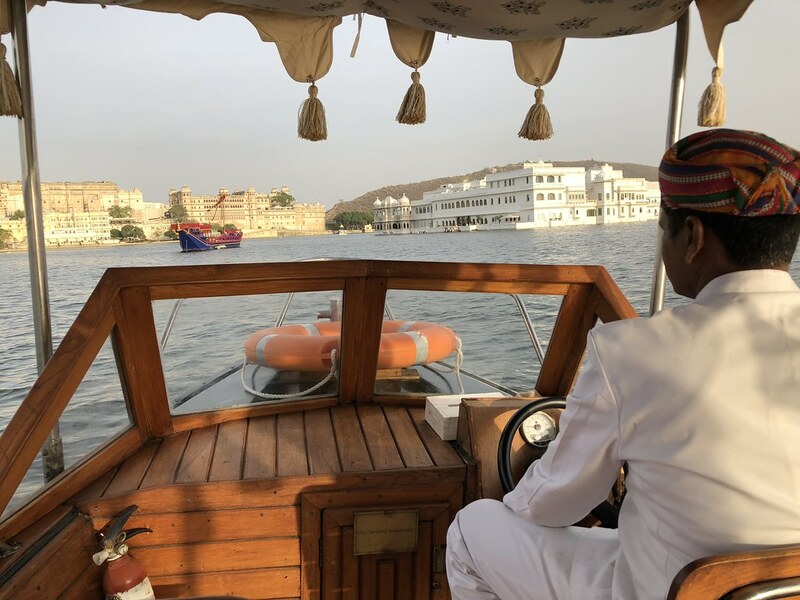 Yes, the boat ride is a fun way to see the city and its palaces, but more importantly I think is the opportunity it provides to experience real life in Udaipur as well. Truly one of the most remarkable hotels I’ve ever visited, the Oberoi Udaivilas stands on 200-year old hunting grounds of the Maharana and is spread over 50 acres. With only a limited number of rooms and suites, it creates a private and secluded feeling; perfect for a getaway. It also has incredible views of Lake Pichola along with the palaces both on and along the banks of the lake. Of course great hotels aren’t just about their surroundings, it goes much deeper than that and like most Oberoi properties, the staff at the Udaivilas excels at providing incredible comfort. As soon as guests arrive they’re made to feel like members of the noble classes, a feeling that never goes away. While the estate is sprawling, the number of guest rooms and suites are kept to a minimum, which ensures luxury service that is nearly unparalleled. Enjoying a poolside suite, it was one of my favorite hotels during my trip not because of any amenity, but because of how I felt. It’s rare for me to be as relaxed as I was at the Oberoi Udaivilas, a testament to the travel magic they’ve created at this remarkable resort overlooking the city.